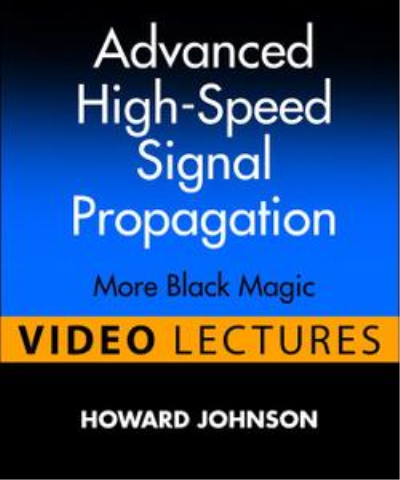 Advanced High-Speed Signal Propagation (Video Lectures) More Black Magic | Free eBooks Download - EBOOKEE! Advanced High-Speed Signal Propagation is an advanced-level course for experienced digital designers who want to press their designs to the upper limits of speed and distance. Focusing on lossy transmission environments like backplanes, cables and long on-chip interconnections, this two-day course teaches a unified theory of transmission impairments that apply to any transmission media. This course is an advanced sequel to the High-Speed Digital Design Seminar. This is a practical two-day seminar course, filmed in front of a live audience by a professional documentary film crew, taught by a man with extraordinary capabilities. His seminars have been seen by over 10,000 engineers worldwide, and was for 20 years among the most popular summer engineering short courses ever offered at the University of Oxford. Why so popular? The course is real, taught by a real engineer, with real examples, explanations, and classroom demonstrations. Anyone who works with high-speed digital signals at the upper limits of speed and distance will understand and benefit from the material presented. In the course, Dr. Johnson begins with fundamentals, to make sure the vocabulary is clear, and then applies those fundamental in diverse areas of high-speed design. This course presents material related to the book, High-Speed Signal Propagation: Advanced Black Magic, but treated in a different way and with different examples. The book, being 766 pages in length, obviously delves into the subject matter in greater detail. Think of the seminar as an introduction and, if you like it, get the book for on-the-job reference. No comments for "Advanced High-Speed Signal Propagation (Video Lectures) More Black Magic".